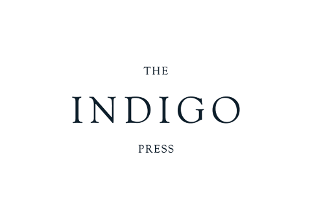 The Indigo Press are a new publisher of fiction and creative non-fiction, essays, memoirs, current affairs, contemporary fiction, global writing, diverse writing, world literature, radical literature and innovative literature. Cooder’s career intersects with Wonder Valley in several ways. Although he is best known as a musician, collaborating with everyone from The Rolling Stones to Captain Beefheart, one of Cooder’s most famous projects is his score for the film Paris, Texas which, like half of Wonder Valley, is set in the desert and summons the sonic essence of that lonely terrain. But Cooder also wrote a terrific collection of short stories, Los Angeles Stories that perfectly capture the gritty world of Post-WWII LA from the Chavez Ravine to Bunker Hill downtown. While my novel doesn’t actually take place in Hollywood, I had to choose Cooder’s song because it captures the danger and the allure of the city after dark, the street life and those that live it. Tom Waits’s gravel-voiced singing and his gritty lyrics are a perfect embodiment of a certain Los Angeles—the place of dive bars, flophouse hotels, broke-down dreams, and drunken heartbreaks. His lyrics traverse the city from Vine in Hollywood to Skid Row itself. The Nickel is an old nickname for the formerly dangerous strip of the city around 5th St downtown, not too far away from the Cecil Hotel where bad things seems to happen in the real world and in my fictional one. On the Nickel captures the poetic grime and the lovely and lonely desperation of this part of town. I couldn’t limit myself to a single Tom Waits song. Depot, Depot is an ode to an unusual place, the bus station at the edge of Skid Row where Ren (and hundreds of other ex-cons, drifters, and grifters) arrives on his first day in Los Angeles. The lyric “I can’t claim title to a single memory / He offered me the key / ‘Cause opportunity don’t knock,” is pretty much on point with the idea of Skid Row as a place that tries to steal your memory and your identity—a place where second chances are hard to come by. But as usual, Waits’ uses his poetic touch to elevate the bus station, to imbue it with surprising grace, to find something beautiful where most people won’t even look. So this is a fun song unlike some of the others on this list. It’s got motion and momentum. Santa Monica Boulevard (which appears in the chorus) runs almost the entire length of the city, passing through disparate neighborhoods and winding up at the ocean. While Crow’s song (which I’ll admit was written by a friend of mine, Wyn Cooper, whose book of poems was plucked off a shelf by Crow’s producer) is uptempo, it’s got a certain Los Angeles melancholy that I think captures a lot of the contrasts inherent in the city—a place of shadows and sunshine alike. Alameda Street runs along the border of Skid Row, dividing it from the rapidly gentrifying Arts District to the east. This song, which captures the loneliness of the vast city, can also be read as an allegory, a cautionary tale about how easy it is to cross over from the straight world into Skid Row—how thin the border between these two is. How simple it is to let go, lose touch with your friends, your world, let the desperation swallow you. So this is other ode to the down and dirty Los Angeles, the city that never cuts you a break when you need one, that grips you tight, deludes you into insane dreams, and tries to drain your soul. Zevon perfectly captures the malicious sunshine that “looks angry through the trees.” While Desperadoes doesn’t take place downtown, but in Hollywood, the frustration with Los Angeles Zevon conjures is easily found in Skid Row, where too many people who lost their battle with the city wind up. One of the things many people don’t realize about Skid Row is that there’s a wild energy on the streets, an excitement. During the day, the sidewalk outside the studio where I teach creative writing is a veritable party of hip-hop, blunts, and beer. Tupac’s classic West Coast hit encapsulates a lot that energy for me—the notion of a untamed outdoors throw-down on the street, in the sunshine. Full disclosure, I don’t really like this song. Power ballads aren’t my thing. But the lyrics resonate with my novel—the story of Anthony Kiedis’s isolating drug addiction and the power of redemption he discovered from the city of Los Angeles itself. This is a central theme of my book—the idea that redemption is possible for anyone, no matter how far he or she has fallen, and for some that comes in the form of the city, from looking around and seeing past the desperation and finding connections in places that seemed unlikely or impossible.